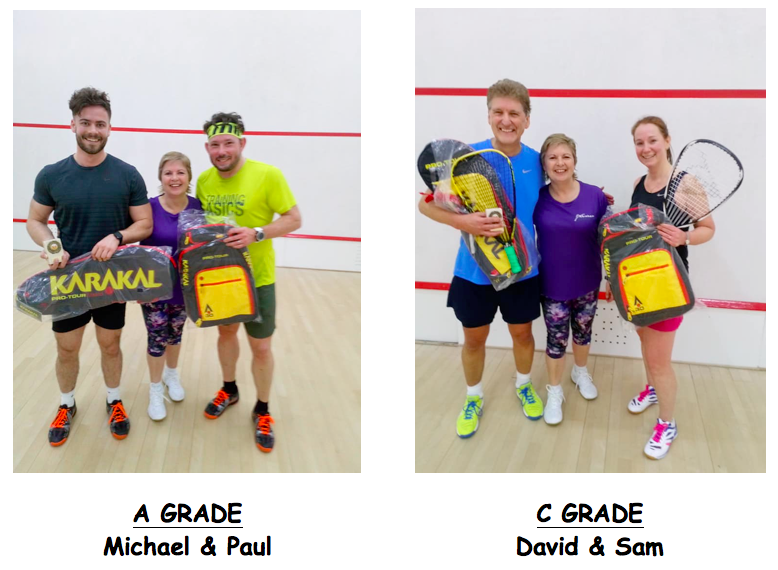 ​EBBISHAM SPORTS CLUB in Epsom, Surrey, held an EBBISHAM ADULT OPEN GRADED RACKETBALL TOURNAMENT on Sunday 24th March 2019 with 4 separate events – A (County level), B (Surrey League Competitive level), C (Surrey League Social level) and D (Beginners/Club social players) Grades. Of the 28 players overall, there were 14 entrants from Ebbisham and the rest were from other Surrey Clubs such as Woking, Surbiton, New Malden, Ashtead and Surrey Sports Park. With staggered registration/start times, everyone had several short round-robin box games (PAR Point A Rally to 11 or 15) with the highest overall game/points scorers going through to a Semi-Finals and/or Finals in each Grade, followed immediately by Presentation of Trophies. A successful and enjoyable tournament for everyone. 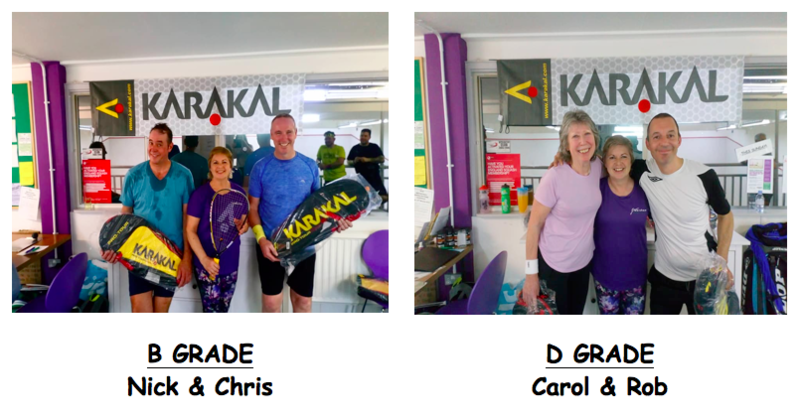 and, last but by no means least, to the players themselves for ALL turning up on the day on time and hopefully they all had a fun, friendly but competitive racketball event!